Universal Studios Hollywood’s Annual “Christmas in Spring” Philanthropy Event Brings Heartfelt Holiday Cheer to 1,000 M.E.N.D. Low Income Families with the Help of Hundreds of Employee Volunteers, Saturday, May 6, from Noon to 2 p.m.
Universal City, Calif. – Universal Studios Hollywood celebrates 26 years of giving in partnership with M.E.N.D. (Meet Each Need with Dignity) as part of its annual “Christmas in Spring” philanthropy event, bringing goodwill to low income families, with this year’s event taking place on Saturday, May 6 from Noon to 2 p.m. at 10641 San Fernando Rd, Pacoima, CA 91331. Since its inception, “Christmas in Spring” has impacted the lives of over 15,000 less fortunate individuals, providing them with the opportunity to enjoy a fun outing during a time of year when the needs of these families are often overlooked. 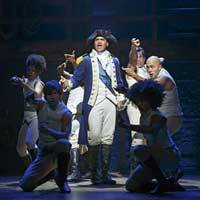 Philanthropy is a major initiative for Universal Studios Hollywood through its acclaimed Discover A Star Foundation. Founded in 1994, Discover A Star provides grants to deserving organizations whose initiatives help individuals and families to achieve more productive and fulfilling lives. With hundreds of Universal Studios Hollywood volunteer employees participating, this year’s “Christmas in Spring” event will invite Santa Claus and very merry mischievous Minions from the theme park’s popular “Despicable Me Minion Mayhem” ride to usher in a springtime holiday season. Families supported by M.E.N.D. will enjoy an afternoon of custom prepared food and interactive festivities from carnival games and face painters as well as a live D.J. A special keepsake family photo memento with the Minions, Dora from “Dora the Explorer,” SpongeBob, Curious George and Santa Claus will add to the special celebration. Children will also be treated to giveaways, including a large plush toy and a book of their choice. In the spirit of paying it forward, Discover A Star grant recipient, A Window Between Worlds, will provide an arts and crafts station. The non-profit group is dedicated to using art as a healing tool to empower and transform individuals and communities impacted by violence and trauma, while inspiring women and children to recover a sense of renewal and independence through creative expression. Universal City, Calif. – Universal Studios Hollywood and Universal CityWalk become headquarters for Universal Pictures’ blockbuster new movie The Fate of the Furious, inviting fans to see the No. 1 film in the world at the all-new Universal Cinema, get up close and personal with original prop cars and costume displays and cap off the experience aboard the theme park’s exciting thrill ride, The Fast & Furious—Supercharged, which features stars from the original film series. 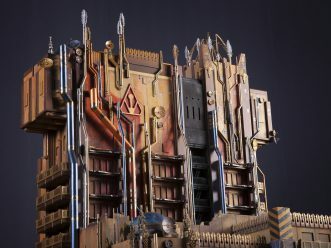 The turbo-charged takeover also provides guests with an exclusive look at the high-speed vehicles from the new movie on display both at Universal CityWalk and Universal Studios Hollywood. This includes “Dom” Toretto’s (Vin Diesel) 1970 Dodge Charger, which has been souped-up to an Ice Charger with a 707 horsepower, 6.2 liter V8 engine to enable the vehicle to zip along snow and ice terrains in the new film. Other cars on display include the International MXT driven by Hobbs (Dwayne Johnson), Hobb’s Dodge Ram, Roman Pearce’s (Tyrese Gibson) 2004 Bentley GT and the Ripsaw driven by Tej (Chris “Ludacris” Bridges). Universal Studios Hollywood also invites guests on an electrifying thrill ride aboard it’s all-original “Fast & Furious—Supercharged” mega-attraction. The Studio Tour’s grand finale ride features characters made famous by Vin Diesel, Dwayne Johnson, Michelle Rodriguez, Tyrese Gibson and Luke Evans and catapults guests into the high-stakes underground world of fast cars in a harrowing escapade – at perceived speeds in excess of 120 miles per hour – to save one of their own from an international crime cartel. Universal City, Calif– The spectacularly captivating and highly acclaimed “Harry Potter and the Forbidden Journey” thrill ride at Universal Studios Hollywood’s “The Wizarding World of Harry Potter™” takes a technological bow with the introduction of enhanced 4K-HD ride film projecting at an astounding rate of 120 frames-per-second and designed to offer guests an even more immersive glimpse into J.K. Rowling’s Wizarding World. Originally projected at 60 frames-per-second, the new ride media now displays at four times the frame rate offering superior clarity and remarkably sharper images than previously shown, with imagery that is stunningly ultra-realistic. Hollywood, Calif. – Universal City, California, December 13, 2016 – Universal CityWalk unwraps a multi-million dollar renovation of its AMC Theatre to create an all-new state-of-the-art Universal Cinema, debuting just in time for the holidays and offering movie-goers a chance to catch the latest seasonal blockbusters from the comfort of deluxe, recliner seating. For film buffs, CityWalk has long been the epicenter for fans seeking an environment that matches the excitement of their favorite blockbuster movies. 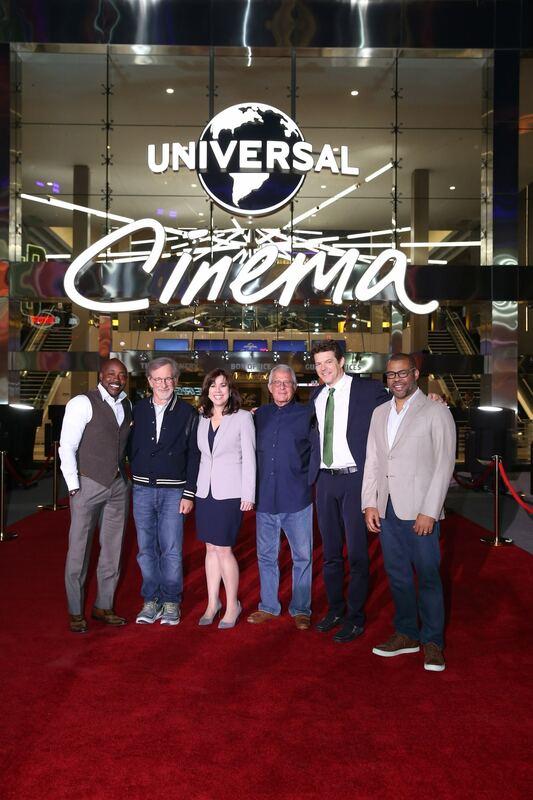 As part of if its bold revitalization, CityWalk now elevates the movie-going experience to new heights as the 18-screen and IMAX AMC Theatre updates with the most technologically advanced sight and sound achievements. A complete remodel of the split level structure includes the installation of deluxe recliner seats in 18 theatres—the equivalent of those found in Hollywood screening rooms—making every seat, the best seat in the house. Each redesigned theatre has been fully upgraded with Christie RGB Laser projection, Dolby Atmos immersive surround sound and equipped with Christie Vive speakers for optimal audio performance. The installation of new, state-of-the art screens, perforated to enable 360 degree audio, complement the overall enhancements. The Director’s Lounge Cocktail Bar—an all-new dedicated and stylish second level retreat, flanked by the upper level theatres—adds a charismatic new dimension to the space as it blends high-tech elegance with chic sophistication for casual pre- and post- movie-going fun. Beverages served at the Lounge can also be taken into the second level theatres. Additionally, movie-goers can enjoy $5 Movie General Parking with the purchase of a movie ticket. Since 1993, CityWalk has boosted the city’s rhythm through a foundation built on providing memorable entertainment experiences. With a series of dramatic enhancements currently underway that includes the introduction of new restaurants, shopping experiences, visually aesthetic design features and the completed state-of-the-art movie theatre renovation, the spotlight shines brightly on CityWalk as it continues to resonate as one of L.A.’s most influential lifestyle centers. More information on CityWalk is available at www.CityWalkHollywood.com. 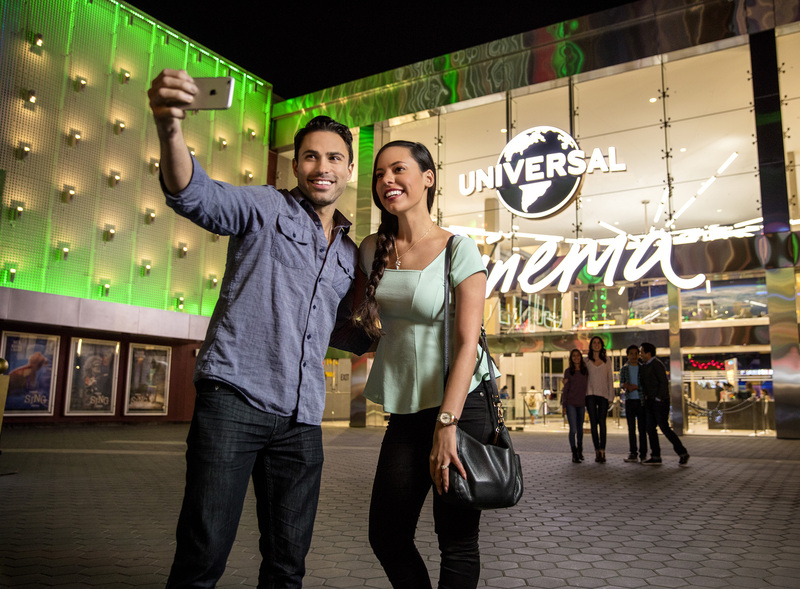 Regular updates can also be found on CityWalk’s Twitter @CityWalkLA, Facebook-Universal CityWalk Hollywoodand on CityWalk’s Instagram @CityWalkLA.